There's a wonderful challenge on Cheery Lynn this week and you have a chance to win an electric E-bosser machine. I started this 6x6 card with the gorgeous French Flair scalloped stacker, layered that with a light pink Horizon French Flair Stacker. 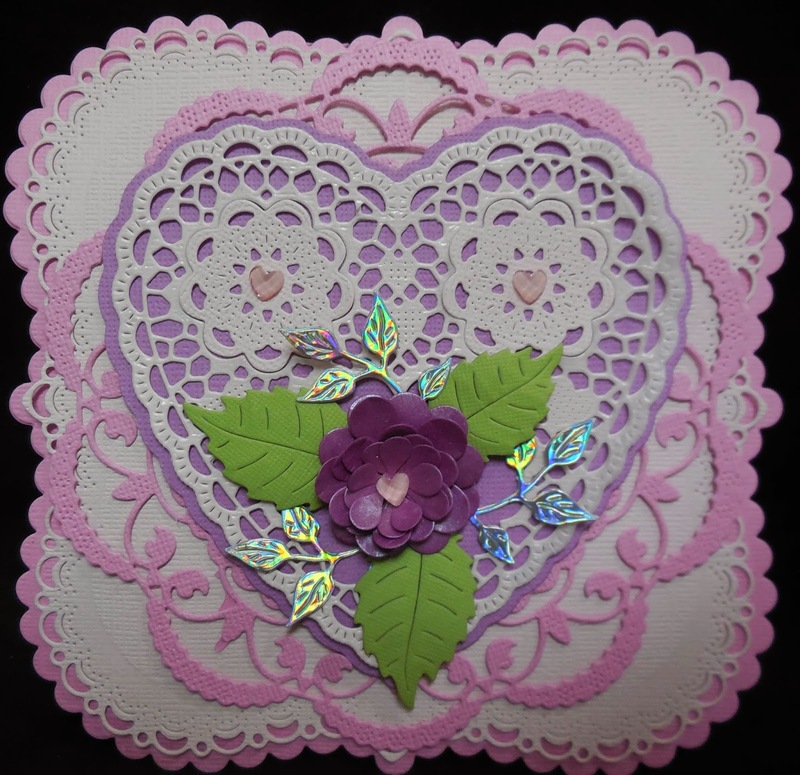 I added a darker pink Sophie's Heart and then I used one of the background dies from the Heart to Heart doily set, then I topped it with the Heartland heart set die. 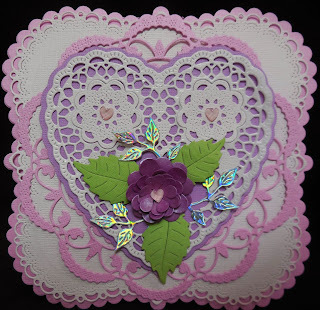 I decided it needed a flower in the center of the bottom heart and I used the miniature, medium and large rose strip to make the flower with the flourish vine and rose leaf under it. Be sure to join the fun at Cheery Lynn. Beautiful card. Wish I had all those dies. This is just a gorgeous creation! I love everything about it from the Heartland die to the layers and pretty floral focal point! Thank you so much for playing along with the Cheery Lynn Designs New Years Celebration - eBosser giveaway!